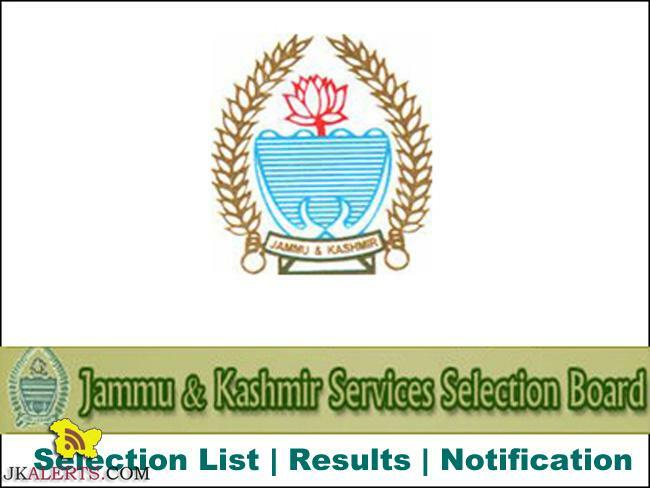 JKSSB Selection List of Theatre Nurse, MPHW/ANM, Junior Grade Nurse, DRIVER, Dental Assistant/Jr.Dental Technician, Jr. Scale Stenographer, Carpenter. Name of the posts: Theatre Nurse, MPHW/ANM, Junior Grade Nurse, DRIVER, Dental Assistant/ Jr. Dental Technician, Jr. Scale Stenographer, Carpenter. Department: Health & Medical Education Department, Industries and Commerce department, Agriculture/ Health/ Revenue Department, Revenue Department, Social Welfare Department, Health Department. 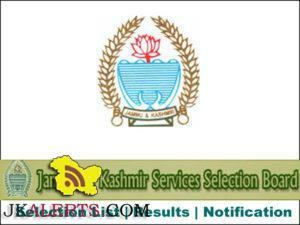 Selection List of candidates for the post of “Junior Stenographer (MED)”, (Public Works (R&B) Department), Divisional Cadre Kashmir advertised vide Notification No. 09 of 2013, dated 21.06.2013 Item No 692. Selection List of candidates for the post of “Jr. Scale Stenographer”, (Revenue Department), State Cadre , advertised vide Notification No. 10 OF 2013, dated 10.10.2013 Item No. 737.